Hillary Clinton said Europe should curtail immigration, but only because it inflames right-wing populists. 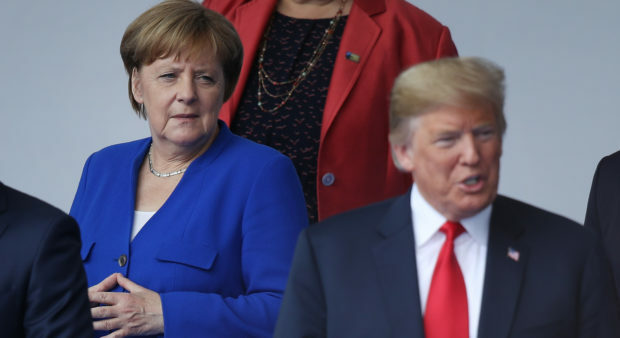 Speaking to The Guardian, Clinton called on European leaders, including German chancellor Angela Merkel, to signal that “Europe is not going to be able to continue provide refuge and support” to migrants. “I think Europe needs to get a handle on migration because that is what lit the flame,” Clinton told The Guardian. More than 1 million migrants and refugees have entered the EU since 2015, according to The Guardian. The surge of migrants has caused a political crisis across Europe. Clinton also took aim at President Donald Trump and Steve Bannon, the former White House strategist who helped craft many of Trump’s views on immigration.